I freeze as I look down at a set of concerned blue eyes staring up into mine. I am sitting in the back of a kindergarten classroom at a desk covered in flashcards and sight words. Since being hired as a part-time educational aide, this is where I now spend my afternoons. After years of teaching in a high school, I enjoy working with the younger kids. I love the unexpected things that come out of their mouths. When it is their turn to work with me, they skip back to the desk and tell me about their brothers and sisters, their pets, and their stuffed animals as I try to get them to sound out correct vowel sounds. They tell me stories like, I wasn’t really sick yesterday. My grandma took me to the bounce house instead of school! or I ate ten pieces of Easter candy when no one was looking! They can’t wait to reveal who got in trouble on the bus, or who threw up at daycare. They show me their boo-boos and their new hair barrettes, and they love to demonstrate how they learned to tie their shoes. Their stories usually amuse me … but the word ‘secret’ has me worried. The girl tucks a strand of shiny blonde hair behind her ear to reveal a puckered mouth and furrowed brow. Her hands clasp pages of sight words that we have been practicing, but her serious eyes don’t leave my face. “You can’t tell anyone, though,” she adds. Something tightens in my chest and my heart beats faster as I work out a response. My mind immediately shifts to panic mode. Is she about to confess some awful secret to me? Hundreds of terrible news headlines flash through my head. The headlines that I quickly turn off when my own children enter the room. The kind that keep me up at night. What if something awful is happening to this little girl? Is she being hurt? Abused? Neglected? I immediately start to think of how I will respond to what is about to come out of her mouth. I am not used to dealing with students of this age. I am grateful that the guidance counselor’s office is right next door. I take a deep breath and am prepared to hear the worst, but before I can respond to her plea to not tell anyone, she continues in a low voice. I sink back into my chair, relief flooding my body as she giggles and worries with excitement about what will happen when she turns into a mermaid. There is no abuse or neglect going on here. Her biggest concerns right now are: What color will my tail be? How will I ride the bus with a tail? How can I play on the playground during recess because there is no pool? What will the teacher say? Despite the list of students that I still need to work with, I let her chatter on for a bit. I am so unbelievably grateful that this little girl’s biggest worry is how her imaginary game will play out. I am so grateful for this reminder that despite sad headlines and awful news, imaginations are still at work. There is still room for magic in this world. Kids will still prefer skipping to the bus stop instead of walking. They will continually be shushed for shouting with joy instead of whispering in class. They will keep on wishing on stars and birthday candles and dandelion puffs for ridiculous things. And, with the utmost sincerity, little girls will keep believing that over the weekend they might just turn into mermaids. It’s been awhile since I wrote anything. In fact, for five months, I have been quite content to abandon writing. Suddenly, though, I find myself missing it. I miss the routine, the sense of accomplishment, and the frustration. I miss the challenge of piecing together the precise words that adequately express the amazement and wonder I experience every day with my two children. And, that, I suppose is the root of my writing rut. Both of my chidlren are in school this year, one in first grade and the other in half-day kindergarten, and life is completely different now. They aren’t with me all of the time, our days are more structured, and we are all a little more rushed. This change felt so sudden after a summer of adventuring and spending so much time together as a family that I didn’t quite know what to do about it. So, I stopped writing. My children, meanwhile, have become even more independent and are learning crazy things like how to read and what the term “mathematical equation” means. No doubt, they LOVE school. They love their teachers, they love their classmates, they love learning. And, truthfully, they love their independence. Oh, this growing up is hard. I feel more than ever that time is moving so very quickly, and I can’t slow it down. 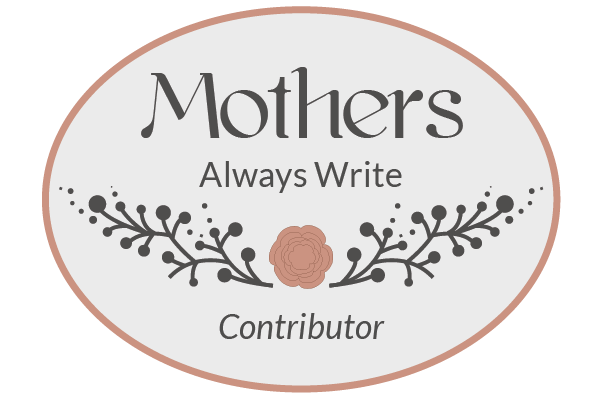 In the past few months I have justified my absence of writing by believing: my house will be cleaner, I will have more time to exercise, and I will be more present with my children with the shorter amount of time I have with them. None of these are true. I still can’t keep my house clean. I gained back some weight over the winter, and although I may spend more time with my kids, I often find myself simply thinking about what is next for us …. What time is soccer practice? Did I pack my son’s lunch already? When are parent-teacher conferences? As we walk through our yard, my daughter gasps in excitement when she spies the first crocus of the year. I feel words start to unfurl inside of me. She tells me, “It’s a clue, Mom! First, it is sunny. Now, we see a flower. SPRING IS ALMOST HERE!” Her excitement is contagious, and instead of focusing on all of the yardwork that we must do before spring arrives, I instead focus on this exact moment. Tendrils of an idea stretch toward the surface, pushing their way through the mundane list of chores and errands that occupy my mind. These tendrils are anxious to surface and bloom on a page. This moment cannot be forgotten, so I will write it down. My son came home with his first grade report card last week, and I am thrilled. He loves school, and his grades demonstrate just how hard he works. I was, of course, interested to see how he is doing in math, language arts, science, and social studies, but I am most proud of the tiny plus signs indicating that he exceeds expectations in the following: Demonstrates respect with words and actions, Accepts responsibility for behavior, and Willing to try new ideas/skills. In a way I feel that these are my grades. I’m on my way to raising a good human, and here is my proof. I wrote about his grades on his kindergarten report card last year in an article recently published on Parent Co: The Most Important Grade on the Kindergarten Report Card. I was very excited to have this one published because in the essay I try to relay something I think cannot be stated enough: kindness matters. What grades were you most happy to see on your kids’ report cards? My daughter cannot manage to walk up the hill from the bus stop without whining, taking a break, groaning loudly, or just altogether stopping and refusing to go farther. However, place her in the woods on a hot and humid summer afternoon (after five miles of bike riding!) and make her a hike a rocky trail with a steep incline and a pack of mosquitos hot on her tail, she is good to go.